In May, Osama bin-Laden was shot dead that sent the relations between Pakistan and US into a tailspin and obviously Pakistan, still depending on billions of dollars in civilian and military aid from Washington began to look Beijing as an alternative for a strategic counter weight to India. This was confirmed when Pakistan’s Prime Minister Yousuf Raza Gilani met the Chinese Public Security Minister Meng Jianzhu and thank him for $1.2 aid for law enforcement materials, when the US was accusing of the Pakistan intelligence ISI having links with the militants. But reading between the lines the Chinese response was lukewarm. A Chinese mining company, China Kingho Group pulled out of in the Southern Sindh province of Pakistan worth some $19 billion dollars plus, the biggest investment in Pakistan, citing security reasons, cannot not be comparable to the force withdrawal of Myitsone Dam of Burma in Kachin state worth a mere $3`6 billion. What is the catch? Originating in a meeting between the Junta chief Senor-Gen Than Shwe and Chinese President Hu Jintao in April 2005, at the Asian-African in Jakarta, Indonesia, Than Shwe has ploy with the idea that electricity from Myitsone Dam hydro-power plant would be sold to China. But the Burmese military top brass, from their initial survey, knew that the negative impact of the planned project would be greater than its advantages and many top generals were unhappy with the dam construction but being cowards dare not speak out. The Junta then launch a military offensive against the MNDAA (Myanmar National Democratic Alliance Army), the Kokang Narco group led by Peng Jiasheng, for not agreeing to the Junta’s proposed Border Guard Force plan, in spite of Chinese authority’s frequent requests not to use violent means in dealing with the ethnic armed groups based on the Sino-Burmese border. However, the Generals want to prove their independence to the people of Burma and to the international community and did not care. Beijing was furious with the regime for not respecting its request and informally suggested that it would reconsider its support in the international arena and threatened not to use the veto in the UN Security Council. This signal sends cold chills through the spines of the Generals who knew the consequences. Hence, to placate the matter, the supremo Than Shwe sent a delegation led by Shwe Mann where China skilfully twisted the arms of the Junta, to sign the three Memorandum of Understandings (MoU) including the Myitsone Dam (the other two were Arakan Gas Pipeline from the Bay of Bengal and the Economic &.Technical Cooperation).So far money has make monkey dance. But all that glitters is not gold. The country's rulers have succumbed to China’s demand with the sole purpose of staying in power, however the people of Burma are still inclined to think that this giant neighbour to the north as enemy number one, because they clearly recollect the 1967 Chinese riots over the wearing of Mao Zedong and badge. For decades the resistances forces in northern Burma including KIA were funded by Chinese Communists just across the border. Under cover of the Communist Party of Burma (CPB) the PLA (Peoples Liberation Army) had made aggression in the Sino-Burmese border areas. Many a Burmese solder have made a supreme sacrifices. Even me, then a young administrative officer in Public Works Corporation was forced to fight alongside of the government when at a time I was visiting the Kunlong Bridge project was surrounded by the Chinese in Northern Shan State. In fact many of these current generals have fought should to shoulder with us. But as of now, these generals who have shed their uniforms have become members of the under the quasi civilian administration have forgotten their comrades in arms who have made supreme sacrifices for the country and people with their blood and sweat. They knew very well that China has controlled the movements of Burmese via the CPB while allowing ethnic armed groups under its influence to enter ceasefire agreements with the regime as it needs stability to exploit Burma’s natural and human resources. The People’s Republic of China was happy as long as Burma's internal affairs remained complex and the regime faced more and more pressure from the West. When a neighbour is eager to cash in exchange for natural resources, they readily did so as the nature of the Chinese mentality is that according to the Burmese saying “will hack his own mother brow if gold comes out of it”. Last year alone 40% of foreign investment in Burma came courtesy of China. Chinese companies have taken this golden opportunity and have tried to control the country's economy by pledging to support its rulers in the international arena. So whenever Chinese leaders visited Burma, they reportedly ask Burmese government officials to protect their fellow Chinese living in the country and protect the Chinese companies which tantamount to a sort of the Chinese economic imperialism, if not colonialism without empire. Now with the postponement of the dam project for 10 years it faced the real test. No doubt China Power Investment Corp., which is financing; China Gezhouba Group Corporation, involved in construction of the dam; and China Southern Power Grid Corp that will buy most of the power generated will be expecting a handsome compensation from the Burmese government. Myitsone in Burmese means the confluence of the two rivers Mae Kha and Mali Kha which combine together in the country’s northern Kachin state to form the mighty Irrawaddy River, the life blood of Burma since time immemorial. This is Geography. U Myint, a leading Burmese top economic adviser to Burma President Thein Sein, already admitted that he does not support the Myitsone Dam Project, but kept “Hush Hush” by the Press Scrutiny and Registration Division for obvious reasons. The dam is being built less than 100 km from a major tectonic fault line, and if an earthquake causes the massive dam to break then the loss of life would be catastrophic. This is Technology. The Myitsone Dam Project has already displaced thousands of residents and will displace many more once it is completed and 766 sq km (larger than Singapore) are flooded to create a giant reservoir. In addition, the building a dam at the source of Burma’s most important waterway will harm the lives of millions of people not just in Kachin State, but throughout the country with enormous negatives impact on social and environment. This is ecology. It also has served as a kind of fulcrum of various political forces. Even though” You’re most obedient servant,” Minister for Electric Power, Zaw Min vowed that the dam would be built despite any public disapproval, Minister for Environmental Conservation and Forestry Win Tun apposed it and Soe Thein, Minister for Industry 1 and 2, question whether this project served “the national interest”. A major split in the ruling hierarchy. This is internal struggle. Critics have rightly pointed out that the current government should adhere to Chapter 1, Article 45 of the junta-drafted 2008 Constitution that says, “The Union shall protect and conserve the natural environment.” This clearly demonstrates that the regime does not respect its own constitution. Fierce criticisms have been raised about the Myitsone Dam Project from the general public who want action to save the vital Irrawaddy River. Many well-known artists, writers, poets, singers, environmentalists and social workers numbering 1,600 including the lady has signed a petition to Thein Sein to reconsider the decision. “Save the Irrawaddy Art Exhibition” on Sept 22nd attended by Daw Aung San Suu Kyi, Burma’s Pro-democracy leader and Nobel Peace Prize Winner, who told that, “People need to unite if they are to achieve what they want,” a message implying that the campaign to stop the Myitsone Dam Project could also become a rallying point for Burma’s opposition forces and ethnic nationalities in their efforts to bring democracy and human rights to the country. This is politics. But the most important aspect is that the Myitsone Dam Project is also the confluence of the pro democracy movement and that of the ethnic nationalities fighting for autonomy within the Union. If it continues, the campaign to save the Irrawaddy River may also become a campaign to rid the country a new civilian government that has stage-managed elections by the military and its proxies who still wield power and control most top posts as well as to get rid of the Chinese influence and reclaim the nation’s natural resources. More than half a century of misrule by the military regime has squandered and depleted Burma’s wealth of natural resources for the benefit of China and an elite few in Burma, leaving many to wonder whether all of the country’s resources will all be gone by the time true democracy is achieved. With the Burmese public expressing dual outrage over the imminent threat to their beloved Irrawaddy River and the increased dominance of China, the Thein Sein administration have no choice but to bow to the peoples’ will and suspend Myitsone Dam Project in order to prevent any major political event in Burma just at the time they were trying to project an image of reform and stability to the outside world. The last thing the generals and ex-generals want is to see mass public protests, which would force them to give up their authoritarian grain and allow the protests to take place, setting a precedent for the future, or show their true colors and crack down as they have in the past. View from this perspective the halting the Myitsone Dam Project does not mean the regime has changed its spots even though in the economic groups and some neighbouring countries will hail it as the latest sign of change. Why So Craved about Sanctions? best way is to give their offspring is education but they have depleted the education system of the country in order to control the country and so they are very desirous of sending their offspring to the West and storing their ill gotten wealth in Swiss banks and other Western countries. Here sanctions became a stumbling block. as they could not send their offspring for further studies or to put their money in Western banks. Even though they have their mansions in China and dumped some of their wealth, still in their hearts of heart knew could not be trusted as they have seen of what the Chinese have done to Slobodan Milosevic and his ambitious wife Mira who had transferred their wealth to China where the Chinese media hailed him as a folk hero. Milosevic’s son Marko one of the richest and most violent criminals in Serbia is encompassing a construction business, and real estate in Shanghai and Hong Kong had dumped. £145 million. The US knew all these and that the Chinese embassy in Belgrade is helping them and that was why they deliberately bombed the Chinese embassy on May 7th 1999. Now when the tide is turn the Chinese say that this wealth belong to the people of Serbia and transfer the money and kicked the family out. The Burmese generals clearly see their picture and writings on the wall and hence their obsession is to have the sanctions remove by hook or by crook. 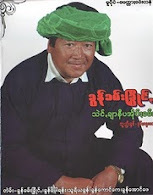 It still has to take several concrete steps towards reforms such as releasing of 2000 plus political prisoners, only about a 220 so political prisoners including comedian Zarganar, ethnic Shan leader Sao Hso Ten, Win Mya Mya and Su Su Nway while important leaders like Khun Htun Oo, Min Ko Naing and Ko Ko Gyi or Buddhist monk Ashin Gambira, who can play a role in reforming the country and achieving national reconciliation, are not included among the 6,359 the released prisoners. But they knew that without releasing this prisoner of conscience they have little or no chance to lift the sanctions and of course when Marty Natalegawa, the Indonesia's Foreign Minister and ASEAN Chairperson visit Naypyidaw they will release the second batch in an attempt to kill two birds with a stone. The State Department seems to take credit, indicating that its “nuanced diplomacy” – encouraging the pro democracy movement, while at the same time “engaging” with the regime was crucial in Burma’s reversal Indeed, the project’s suspension was announced a week after Burmese Foreign Minister Wunna Maung Lwin became the first regime high official in memory to visit Washington. But success may prove to be short-lived. China, reportedly livid, is adamantly trying to push the generals to revert to their default mode of ignoring their citizens and kowtowing to China. So the Obama administration had better stick to its guns. Such a victory would show the region that America is willing to confront China, reversing a dangerous trend. Beijing has scared the entire neighbourhood, and US allies are losing faith in the American ability to protect them from its bullying. No doubt the United States is right in saying that it was an encouraging signs of progress while insisting on more substantive reform before changing policy. Outsiders are not so good at peering inside autocracies of dictators as it usually pretend at reform to tighten their stranglehold with the help of Western aid and trade. Thein Sein made a well calculated move to win more friends in the West as it endeavours to eliminate sanctions and deflect a call for a UN Commission of Inquiry (CoI) into crimes against humanity? That is why the best way to judge a regime is by its actions. Admittedly U.S. sanctions alone have not yielded satisfactory results in Burma, a persuasive argument have never being tried in sanctions policy involving the full weight of American diplomacy. Certainly, removing sanctions now would do more to bless the superficial changes that have taken place since 2010 in Burma than they deserve. The Burmese Junta still maintain an iron grip on its people, and continues to carry out a foreign policy that is inimical to US interests and the US must continue to deny this regime the legitimacy it craves by continuing sanctions, and remain in place until true democratic reform comes to the people of Burma. The U.S. should simply push the: rule of law, respect for internationally recognized human right standards, and stability, to take demonstrable steps toward developing a genuine democratic system, permitting real political dissent, further loosening restrictions on the people of Burma. A minimum requirement is the release of 2,000 or so political prisoners, many of whom have been tortured and mistreated. The regime also should stop stifling the nation’s media and political parties, protecting basic human rights, combating its drug trade, and make known its nuclear ties with North Korea. Then and only then, the West can make a more informed judgment about the proper response of lifting sanctions. At the UNGA, the regime’s spokesman has admitted the military leaders are responsible for Burma's backwardness. Their false ideology and selfishness, their ignorance and superstition, their refusal to listen to scholars and experts and their failure to recognize changes in the international arena have all contributed to the country's decline. Now they are attempting to hoodwink the international community to give them a second chance. But their true colour was revealed when they deliberately refused to recognize the Panglong Accord of 1947 which makes the modern Union of Burma. Instead of real Genuine Union of Burma, they are imposing the Myanmar imperialism, if not outright colonialism over the ethnic nationalities, which are the basic cause of ethnic nationalities grievances, and is in the course of luring the pro democracy movement to its side while without yielding any substantial compromise either to the ethnic nationalities or for genuine national reconciliation with the people of Burma. not genuinely interested in building a democracy or improving the human rights situation and what more proof is wanted when there have been three broken ceasefires (with the Kachin, Karen and Shan minorities),a massive increase in army attacks on ethnic groups, and a sharp rise in gang rapes involving women and children. The even did not admit that there are political prisoners, which clearly indicates that the human rights situation is getting worse. Relaxing some media controls was part of an attempt to regain international legitimacy and neutralise the NLD and even its ardent supporter the ICG agree there is a long way to go before reform triumphs in Burma. And while ASEAN may use recent upbeat signals to justify their long-held, ill-disguised wish to normalise relations, Western governments are treading carefully so far.US official spokesperson, Mark Toner, said "We haven't changed our basic approach. Our policy is still a dual track approach with sanctions but also with principled engagement." The question now is what the suspension will mean for relations between Burma and its main political ally, China. The answer is short and simple. Nothing will happen; the bilateral relations will remain as usual and will work out smoothly as before. The two regimes are birds of a feather. In their hearts of hearts they love dictatorships, the latter openly declares to be the dictatorships of the proletariat while the new quasi civilian government orchestrated by the Burmese Junta is a continuation of the military dictatorship since 1962. At least China is not shy about it and demonstrates them by always propping up dictators of the world especially Africa and Asia and the latest being Syria whereas China use its veto but Burma continue to lie the very concept of truth. Since the mysterious bombs exploded at Myitsone Dam Project some fatal, unnerved Chinese workers and realised the unstable security situation. The Chinese labourers would often leave for weeks at a time, and the project fell behind schedule. The Kachin and the government troops are in a fierce undeclared war. It was hardly the most stable working environment for Chinese dam workers. In fact, a leaked internal document appears to indicate that the Chinese wanted to pull out of the project, despite the promise of electricity for Yunnan. Now with the Burmese President's remarkable announcement, the secret wishes of the Chinese have come true. Besides the project has not received high-level support as an internal report by the China Power Investment Corporation in 2009, said that its size the world’s fiftieth tallest dam piping China’s mammoth Three Georges Dam was unnecessary and called for it to be scrapped. It seems to be the connivance of the two governments as the new quasi civilian government is just waiting for the outrage to die down and the mega Myitsone Dam Project will be reworked into six more hydropower dams, as well as crude oil and natural gas pipelines linking Burma’s Arakan coast with China’s South-western city of Kunming, via Shan State. The gas pipeline will transport natural gas from Burma’s lucrative offshore site, known as the Shwe project, to refineries in China. Along with these projects, China and Burma will establish a railway link as well as a trade and transportation corridor connecting China with the Indian Ocean. China wants to ensure the strategically more important oil and gas pipelines? Beijing still has a lot to gain from Burma's untapped natural resources and also needs to successfully implement its other investments and cannot afford to alienate such an economic and strategic ally now that China is endeavouring to diversify its sources of oil and gas and guard against potential shipping disruptions in the Malacca Strait. One has to remember that Burma is the first country to recognize China outside the Communist bloc and the PLA has helped the Burmese army to drive out the remnants of the KMT at operations Mekong in the late 50s. But relation detonated after the Chinese riots in 1967 as describe earlier but after Mao`s death in 1976 and pragmatic leader Deng Xiaoping supporting revolutionary in the regions is not in Beijing`s interest ended the Chinese support to CPB and economic cooperation started. After 1988, China fully supported the dictators supplying a large military hardware to the tune of 4.2 billion and sending military advisers. Burma is also strategically important to China, because it is only through Burma that China has access to the Bay of Bengal and the Indian Ocean, and Chinese naval vessels made port calls in Burma for the first time last year. For these reasons, China also does not want to overreact to the Myitsone Dam Project suspension and push Burma into the arms of the West. Also it is important to remember that the greedy China needs Burma as Beijing has heavily invested in Burma’s energy sector and will continue to do so. Furthermore, Thein Sein knows that Beijing will want to maintain its status quo as his government's foremost ally, to prevent Burma from growing closer to the Western powers that are showing a strong interest in engaging Naypyidaw. For his part, Thein Sein also knows that he needs China's backing, because Burma remains under international sanctions—despite tentative praise from the West over the Myitsone Dam decision and his engagement with the Aung San Suu Kyi. China is also important because of the Myanmar hegemony wars with ethnic nationalities near the Sino-Burmese border, and to successful implementation of Myanmar colonialism over these ethnic nationalities will require Chinese cooperation as China’s influence over such groups as the 20,000-strong United WA State Army and the 10,000-strong Kachin Independence, can't be neglected by Naypyidaw. It seems to prove that this cancellation is a Beijing- Naypyidaw collaborating with each other, to defuse resistance the resistance of Myitsone Dam Project. Politically as well as economically, Burma still needs China. For more than two decades, Beijing has been the one backing the Burmese regime whenever it was faced with international pressure and condemnation for its brutal clampdowns on civilians and opposition forces. Burma’s ruling leaders knew they could count on Beijing’s unequivocal support in the international arena. As a rising super power and one of the largest countries in the world, China has more responsibility to preserve that tradition and not to let it be destroyed by inordinate greed. China may feel that it is being unfairly treated by the very people that it has aided in committing a long list of crimes against their own citizens—not only indirectly, by giving them diplomatic cover and the economic means to ride out decades of punitive sanctions, but also directly, by supplying them with weapons of mass oppression under the smokes screen of “win-win” arrangements that fully respect the sovereignty of other countries. The Chinese thinking that governments, no matter how illegitimate, should be regarded as monolithic embodiments of this sovereignty and do business with them. Being always profit motivated always construe that this situation should be exploited, rather than as a problem to be corrected. Propping up reprehensible regimes, particularly those with control over natural resources, has become a cornerstone of Chinese Foreign Policy should be rethink Its practice of embracing pariah regimes to cut deals highly favourable to China’s interests, and not to those of local people, is not only amoral opportunism but is not conducive to be a benevolent superpower. This monkey business not only applied to Burma but also in Africa where China has invested US$ 3 billion in Zambia, over the past three years and when elected President Michael Sate, described Chinese investors as “infesters” they were mad. Very lately China has offered to sell more than $200 million in weapons and ammunition to Muammar Gaddafi is just some of the classic examples. China must stop riding roughshod over the rule of law when it suits its purposes, and learn to respect the rights of other countries' citizens, and not just the illegitimate claims of their self-appointed rulers. They must win the heart of the people of Burma. "This monkey business not only applied to Burma...."
"This money business not only applied to Burma...."?